Cheap Rubber Whoopee Cushions - 12 Ct. Create the perfect prank for April Fool's day! The classic rubber whoopee cushion is the perfect way to play a joke on your friends. 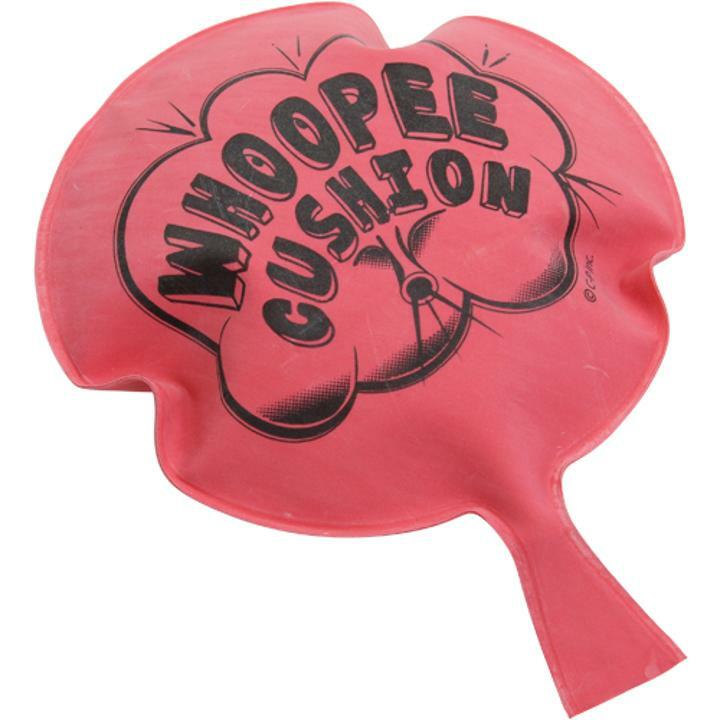 Each whoopee cushion makes an embarrassing sound when you sit on it! So give a Bronx cheer for a rubber whoopee cushion. Looking for more laughs? With wide selection of jokes, gags and tricks you'll find what you need to play a prank on April Fool's day or any occasion requiring a laugh. Fill party favor loot bags with the classic joke toys and keep your guests laughing. L: 3.45 in. W: 6.5 in. H: 1.65 in.